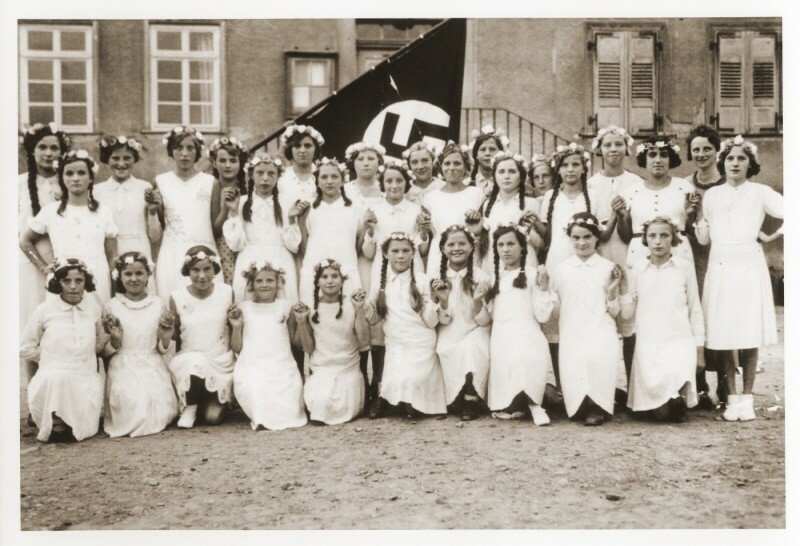 Group portrait of German girls posing outside their school in front of a Nazi flag. Among those pictured is Lilli Eckstein six months before she was expelled from the school for being Jewish. Heldenbergen, Germany, 1935.